Tag: Pressed Flower and Seed Paper range. 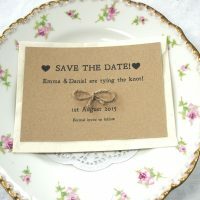 Categories: Wedding Invites & Stationery, Vintage, Unique & Eco-Friendly Wedding Stationery, Wedding Invitations. Our seed paper wedding invitation set is SOOO pretty, even if we say so ourselves! The invite is made from thick recycled paper (about 150 gsm) embedded with various flower seeds. Seeds include: Catchfly, Daisy, Poppy, Sweet Alyssum, Spurred Snapdragon and Black-eyed Susan. It is also made for us in the UK. 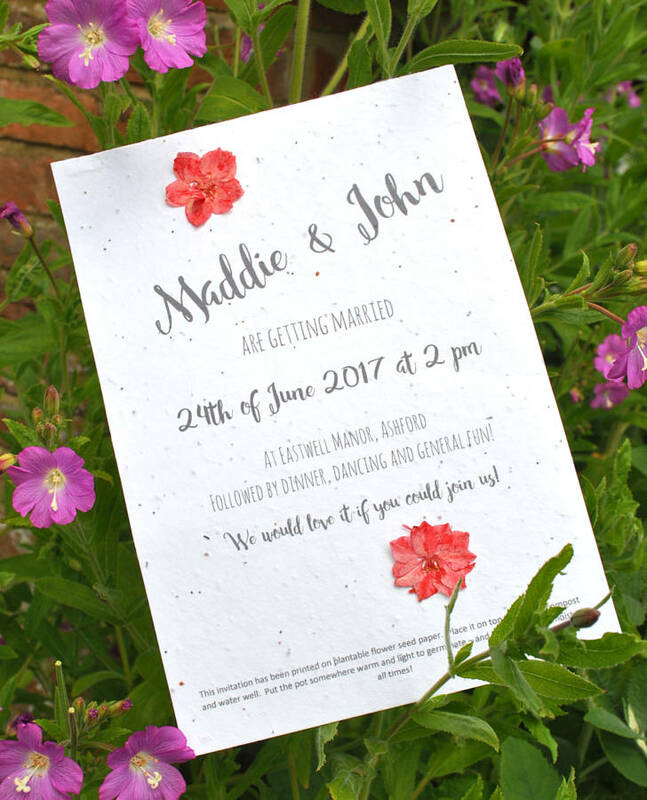 The invitation size is A5 and will be printed with text of your choice in a grey font colour – please advise in the box above or email it over after you have ordered. We will then send a proof for approval before printing begins. We will automatically add the printing instructions so no need to advise those as well! 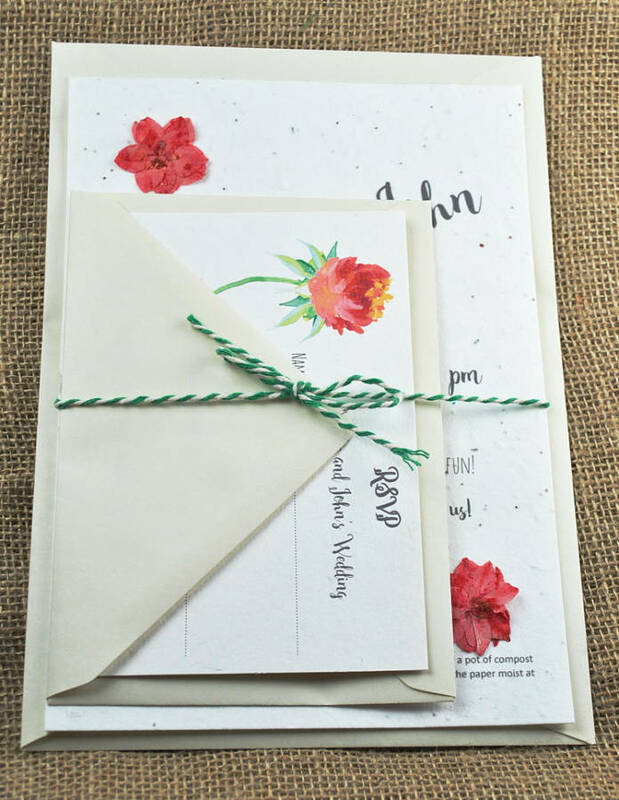 Pressed flowers are attached to the invite and will more than likely vary from what is show in the photograph as we will use what we have available at the time of ordering. A recycled envelope (probably ivory but could be manilla, depending on what is in stock when you order) is also included, A5 size so that the invite doesn’t have to be folded. 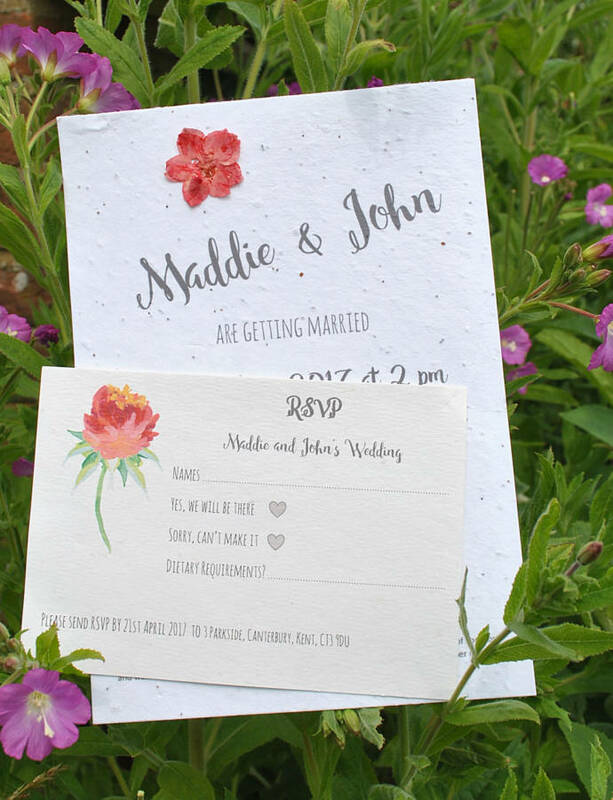 The RSVP is made from thick recycled white card (about 280 gsm) which has the odd petal scattered here and there – petal density varies from sheet to sheet. Again, a recycled envelope is included for your guest to post back their response to you. Please also advise the RSVP address in the box above or in an email. The invite and RSVP will be held together in the envelope with Baker’s twine, the colour of which will be a surprise! 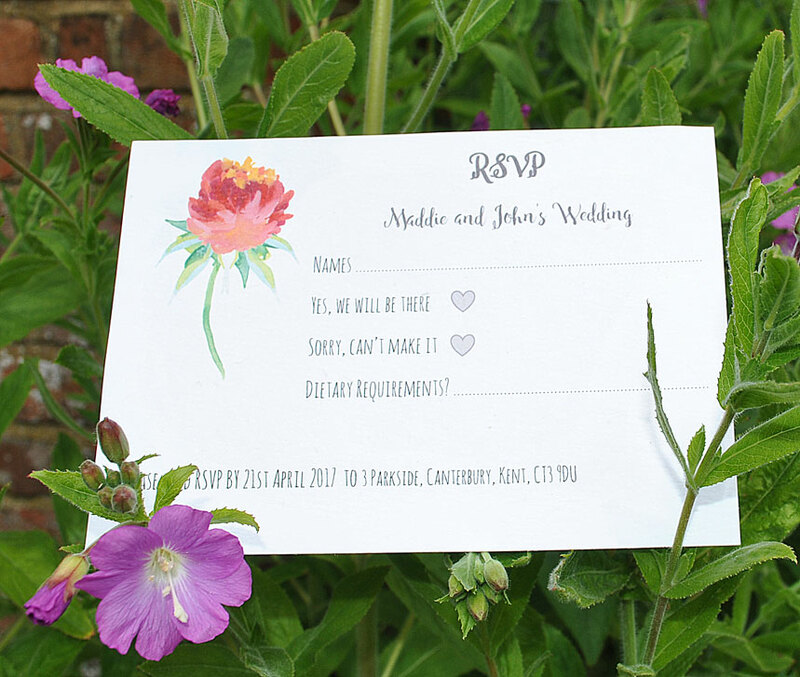 This is such a lovely, eco-friendly invitation set that your guests will be wowed – and they can plant it and have a potful of flowers in the summer as a further reminder of your wedding! A useful wedding invite indeed! We have other matching products in this range – Save the Date and seed packet wedding favour. Plus, we can also create you anything else you need to match – just drop us an email! 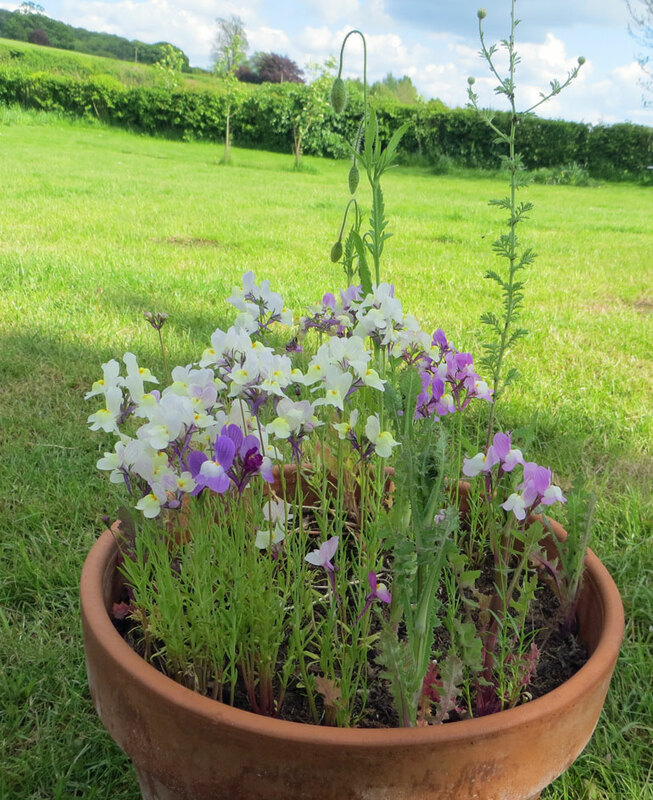 Simply place the paper on top of a pot of compost (preferably peat-free!) and water well. Spring and summer are the best times of year to do this so that you can have the flowers on show in your garden in the summer! Place somewhere warm and light to germinate and keep moist – it is vital to successful germination not to let the paper dry out! Once you have lots of seedlings, transplant the whole lot into a bigger pot and place on your patio in a sunny spot. We do not recommend planting the paper directly in the garden as there is the risk of slugs and mice eating the seeds/seedlings. The photos below show the flower seed paper germinating and flowering.